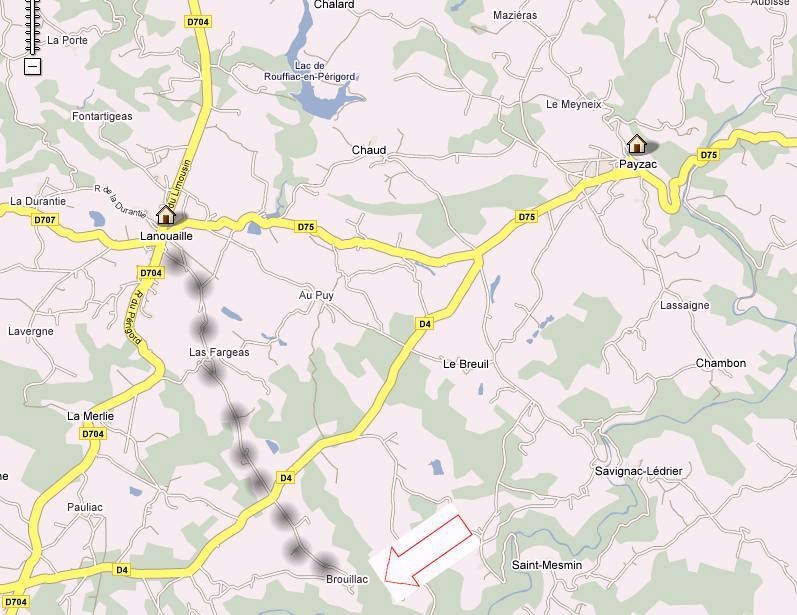 If you are using a navigation system make sure you are being directed to Lieu dit Brouillac not Genis. Our hamlet is off the D4 as you can see on the attached map 3. 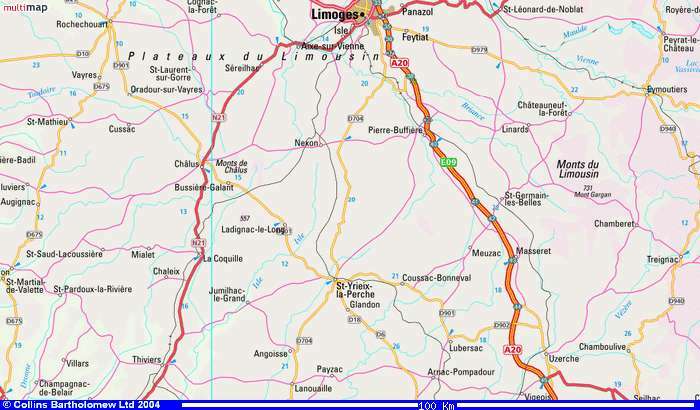 Coming from the north its best to follow the motorway south to Paris , then Limoges . Look for signs for St – Yrieix Junction 36 - you need the D704. Once on this road follow it all the way through St – Yrieix to Lanouaille-D704. At Lanouaille after the 30kmh zone pass through the crossroads and on the left you will see a car park and a small road - signposted Genis. Turn left. Its a small country road - follow this to the end to the crossroad with the D4. Go straight over and we are the first house on right. There is free parking and garage space available if required. 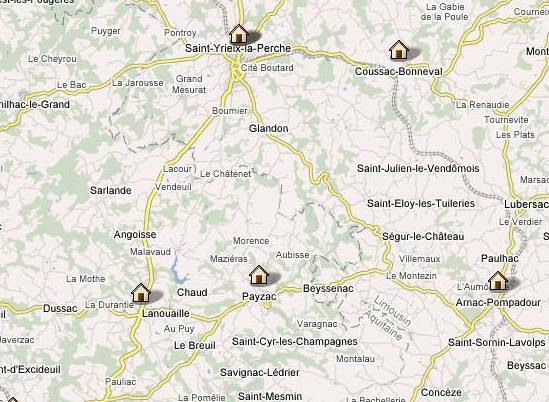 By Air – Brouillac is 110kms from Bergerac airport 80 from Limoges. Served by Ryanair, Flybe. We are 8hrs from Calais if you use cross channel ferries.